***UPDATE*** June 1, 2007- After several google searches for pictures of montbresia led people to this article, I decided to post photographs of the montbresia I mentioned below. 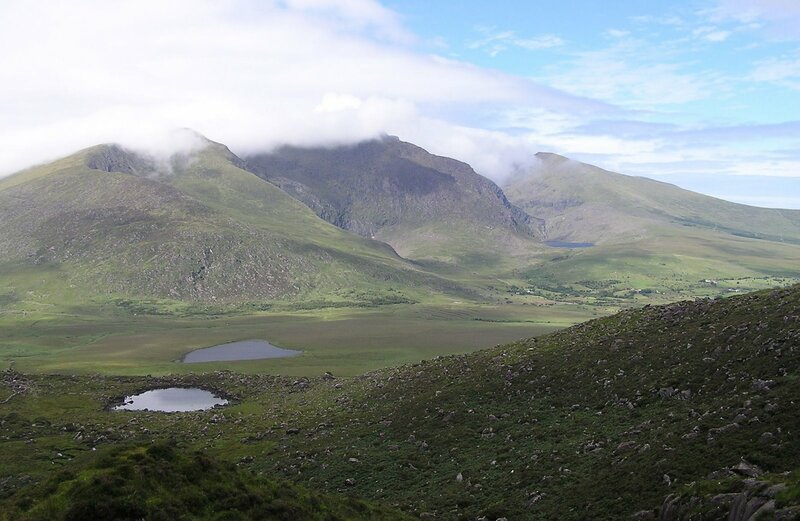 There are many places to visit on the Dingle Peninsula, but our favorites were Anascaul Lake and Connor Pass. A winding single lane road from the town of Anascaul took us up to the lake. The drive itself is beautiful, with fuscia and montbresia growing all over, but the area at the top was incredible. We were the only people there, and it seemed like our own private lake. Our sons, ages 14, 12 and 10, had a great time climbing up the steep, rocky hill. If you go, bring a picnic lunch and blanket. I wish we had! You should also bring good hiking boots. 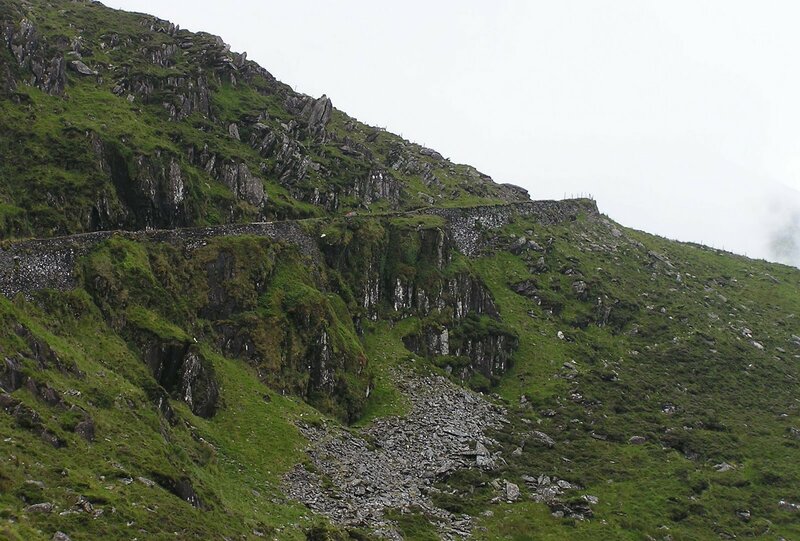 Many people only spend a day or two on the Dingle Peninsula, wanting to see many different places in Ireland, but so much is missed when you only get a brief taste of an area. 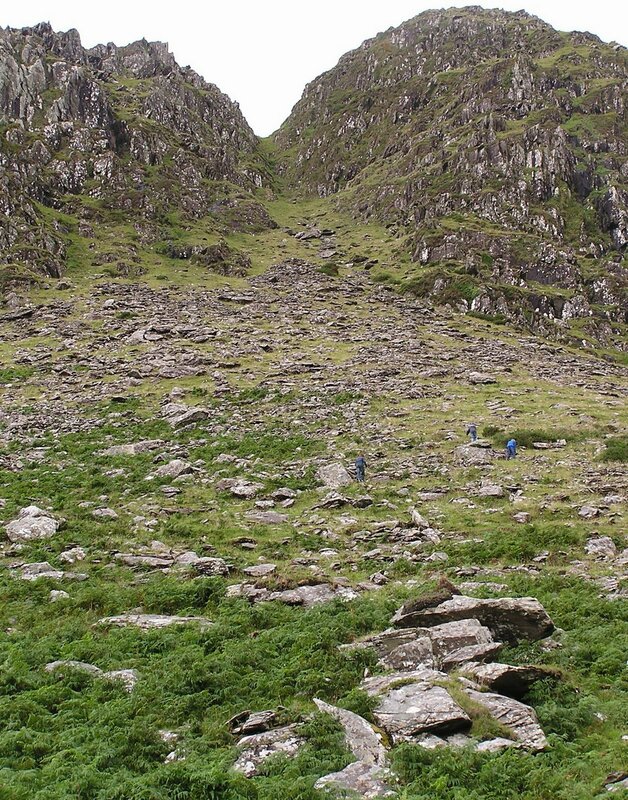 I wish we had spent more time at Anascaul Lake, walking and exploring the Slieve Mish Mountains. Connor Pass was an adventure, too. 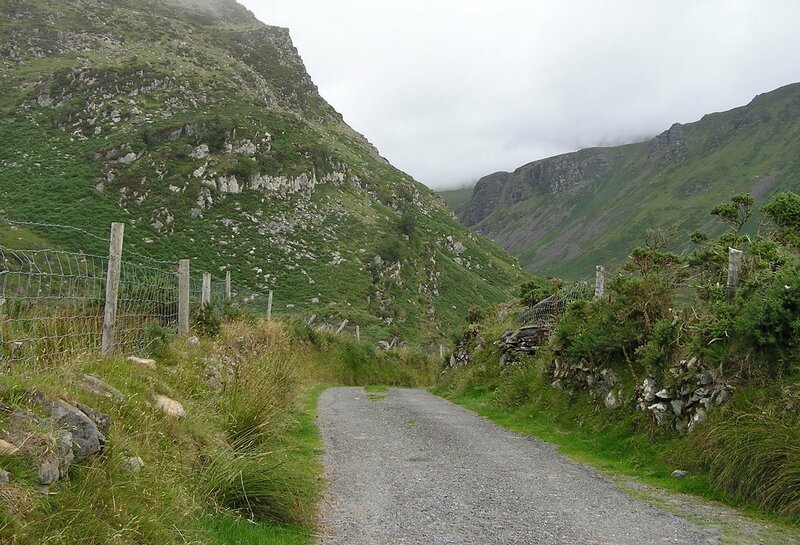 A narrow, winding road that deserves care and patience while driving has amazing views for you to enjoy. We stopped near the top where there were some parking spots by a very small waterfall and a view of the lakes below. The best part of this stop was the opportunity for more rock climbing for the boys. We climbed up, scrambling over the rocky hill, to a small lake. We had a great time, staying for awhile to explore the area. This would be another good spot for a picnic. You can see a slide show of our day on the Dingle Peninsula on YouTube.